There will be something new in town soon. What is it? 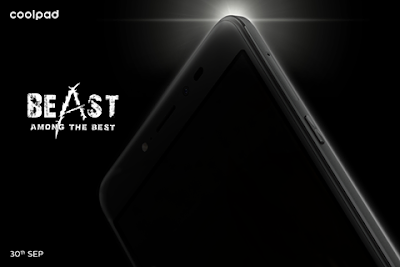 It’s a beast among the best as per Coolpad. Strong, sturdy and every ready, it is Coolpad’s new mega creation that will be soon hitting the technology streets with its uniqueness and looks. The lustrous design of this phone, hinted by streaks of metallic gold and black is the sheer brilliance of design. Will there be more colors of the new model? Will it be metallic pink or silver or grey or something novel? All the mystery is yet to be resolved. We are hoping to see Coolpad's flagship fingerprint scanner with this device, blended in the color of back cover to make it look more beaultiful and symmetric. In the perspective of camera resolution, it is still a guess work around the possiblilty if it could be a selfie focused model or for photography lovers. With or without an extra flash, we believe Coolpad might have had other technology advancements to its camera. Coolpad, now partially owned by LeEco has never disappointed us with any of its products. Its battery, camera, performance and looks have always been up to the mark especially at ultra-affordable prices. Coolpad Note 3 Lite housed with 3GB RAM had been most affordable 3GB RAM smartphone at the time of its launch. 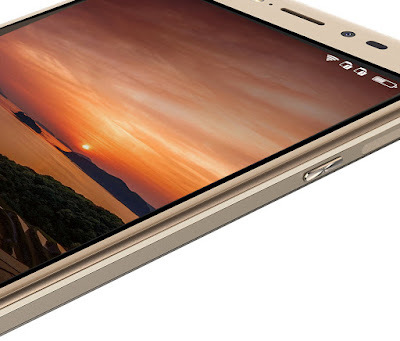 At present Coolpad Max, launched in first half of this year and with a metal body is the talk of the town, recently the price of which is reduced by whooping 11,000 INR. This price reduction could be Coolpad's strategic step towards launching the new device as its flagship phone. So what could this new beast have in it for us? Will the screen have new technology for display ? Will the glass be stronger and clearer than ever? Is there a possibility of a bigger RAM, a 5000 mAh battery, powered by Snapdragon processor or are we overpowered by the leaked pictures of this device? Could this be Coolpad’s premium line or will it be another nice to pocket mobile device? The wait will be over on 30th of September when our zeal will be satiated with all the answers we are looking for. We are as eager to know as you are. Let’s cross our fingers and wait for this beauty to be unveiled.